A natural and unique phenomenon produces color fading and reviving sapphires, and reminds us how physics makes us see all color. 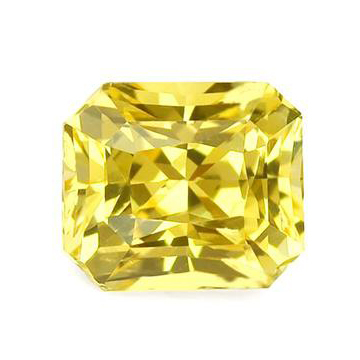 This pretty yellow sapphire could experience color fading and reviving properties. 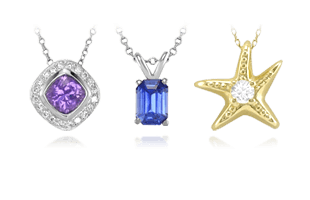 As sapphires have continued to gain widespread appeal, more and more about these beautiful stones is revealed and learned. Most stunning in recent decades is the observation of a natural reaction of sapphires whose color seems to fluctuate. It is a common occurrence in certain colors of sapphire gemstones, but it is rarely discussed as a natural feature of the stone, or even discussed at all. On this page, we will break down which color sapphires are known to fade and regenerate their color, why this can be a natural property of the stone, and how to not let this phenomenon stop you from picking the sapphire you love. 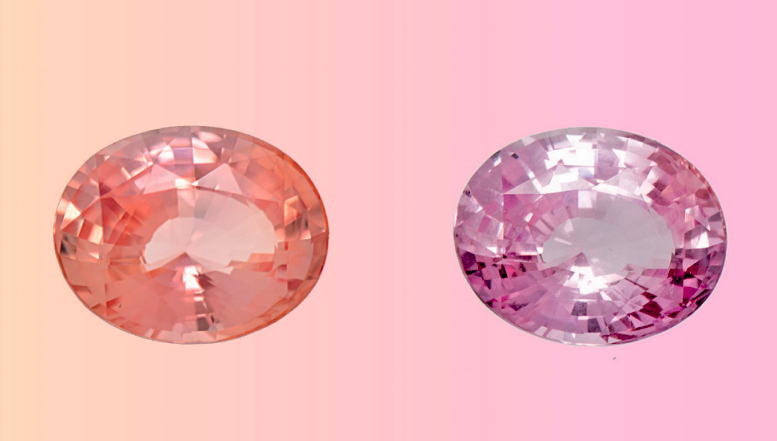 The padparadscha sapphire may also experience the color fading and reviving property. The only colors of sapphires that are known to have a fading color property are yellow and padparadscha sapphires. 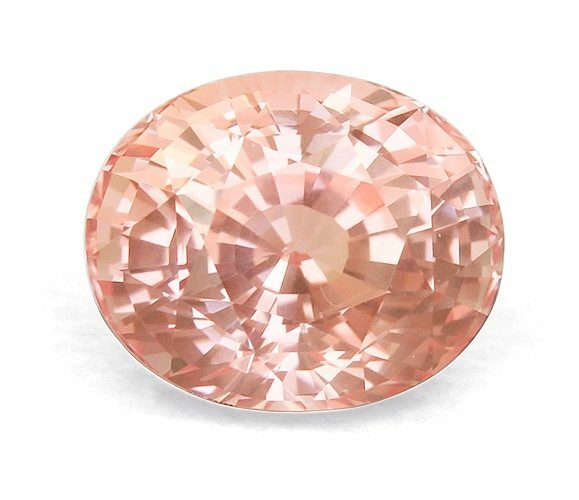 Padparadschas are included because of their varying degrees of yellow-color causing agents mixed with a chromium-produced pink that creates the special “salmon/coral” color of the padparadscha sapphire. 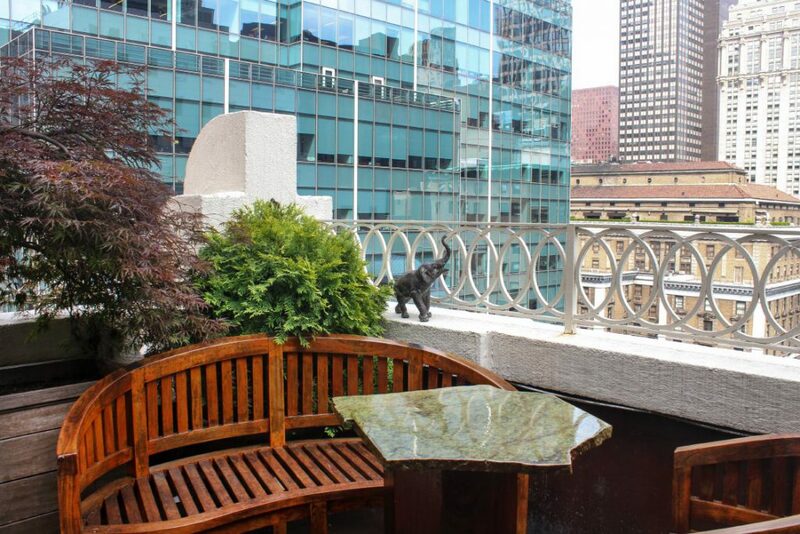 They exhibit this unique color fading and reviving characteristic as a feature of the stone’s natural design. These sapphires are similar to plants. If you kept a plant in a closet for a few days, no sunlight, no water, and no circulation of oxygen, the leaves would begin to wilt and the plant would seem dull and lifeless. Move the plant out into a brightly lit room with plenty of fresh water and light, and you would see the plant come back to life with strong color, lifted leaves, and firm stems. Just as a plant is alive, so is the color fading and reviving sapphire alive! All living things are interacting with light frequency wavelengths all of the time, and we observe this process as the release of energy in the form of color on the visible light spectrum. We’ll get into the science of that later for those that are interested, but the important aspect is that this feature is completely natural to the sapphire. In reality, it’s possibly one of the only times you’ll be able to notice with visual evidence that your gemstone is alive and interacting with the outside world. It’s really quite extraordinary to witness! Evidence of color fading properties in a padparadscha sapphire. Photo credit: SSEF. To offer a quick summary, what is going on inside the stone at an atomic level, involves electrons moving from less excitable ground states to more excitable higher states within atomic orbitals. What moves these electrons up or down the orbitals is the introduction of wavelengths of light. The releasing of energy as the electrons move is the color made visible to the eye. A group of cut and faceted yellow sapphires with varying levels of color saturation. 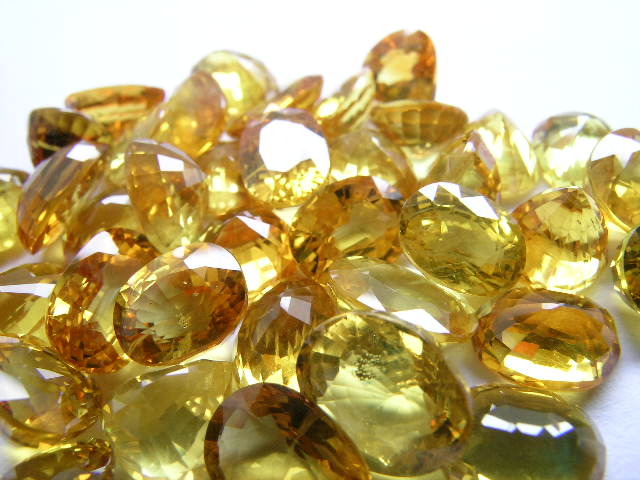 “Almost every cutter in Sri Lanka will put a newly faceted yellow [sapphire] in the sun for several hours after cutting. I remember a 13 carat pear shape that I was shown right off the dop stick after cutting, and I hesitated on the price. But the next day, after it had been set in the sun, the color increased by at least 30%, and I bought it immediately. If the yellows are kept in a dark safe for a while they will lighten up, and also it seems that if they are at a display with halogen lights they will fade as well, but always come back after being placed in the sunlight. The opening of the 1987 groundbreaking article by Kurt Nassau. Even seeing this phenomenon in person can seem to create more questions than it answers. 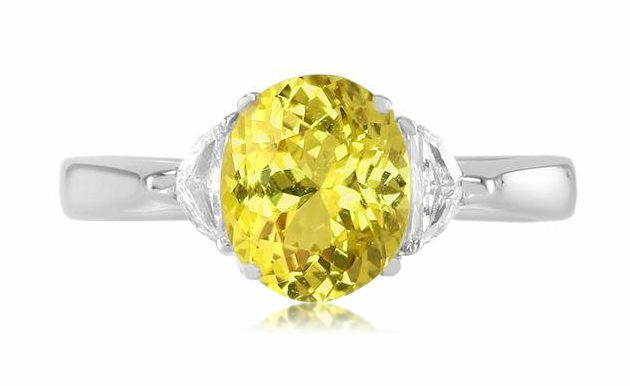 Renowned chemist and mineralogist Kurt Nassau spent a good portion of his career at the forefront of study on this feature of yellow sapphires. 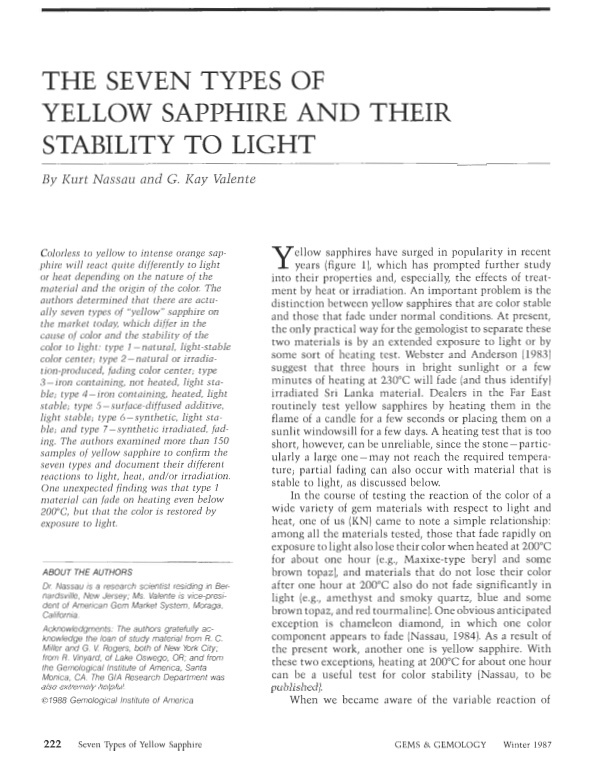 He wrote a seminal piece in 1987 wherein he documents his research that led to establishing seven types of sapphires and their varying degrees of stability to light. 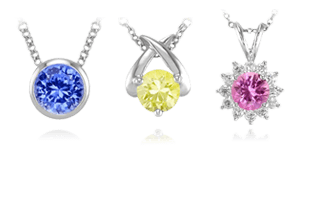 This study covers all hues of yellow sapphire based on how their color is established, as well as synthetic sapphires. Although this study and the resulting support of the categories is extremely helpful, even Nassau admits in his conclusion that results may still vary specimen by specimen. To truly understand how a yellow sapphire will react, fade testing is the best option. As more research is done on this property of yellow sapphires, some gemstone grading laboratories are beginning to add a fade test to their practice and include the results on certificates for the stones. The owners of sapphire gemstones that exhibit color fading and reviving properties are holders of some truly unique pieces. These beauties force us to remember the origin of the stone – that it came from deep in the earth where it grew and changed, maybe for centuries, forever marked by the shifting environment of the earth’s crust. Most gemstones seem to lose this connection to earth once they have been cut and faceted and no longer resemble the rough crystal state as they were found. But with a color fading and reviving sapphire, that connection acts as a living part of the stone that is carried with it for life. For these yellow and padparadscha sapphires, it would appear that most often a lack of ultraviolet light and lower temperatures contribute to the fading effect. In order to revive the color, a day left out in sunlight, or exposure to a UV light source should regenerate the depth and brilliance of color. Every piece of jewelry can seem to gain a new life with a bit of cleaning and polishing, but not every piece of jewelry can alter its own appearance with just some time spent under a UV light. Ones that we don’t have any affiliation with, but have used personally and can recommend, are the compact uvBeast and the more substantial Philips Burton UV Exam Light. The results of performing a fading test with UV light revival on a yellow sapphire. Photo credit: SSEF. 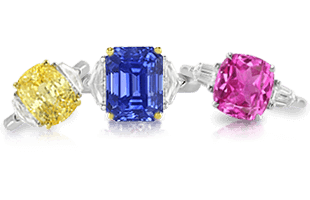 Why we see colors a certain way is a fascinating trip into the world of physics that will leave you with a much greater appreciation for the marvelous creations of nature that are all colors of sapphires. To put color perception into perspective, rubies and emeralds have the same impurity element, but incredibly different color expressions based solely on the distribution of wavelengths of white light as it’s passing through the physical matter of each stone. The visible light spectrum as it appears on the entire electromagnetic spectrum. The visible light spectrum for the human eye exists as what is termed an “octave” on an electromagnetic spectrum that includes more than 80 “octaves” in total. We are able to detect the range of light spectrum from about 400 nanometers (violet) to about 700 nanometers (red). Our eyes perceive this range of light wavelengths as a smoothly varying rainbow of colors, with each hue flowing into the next. This is where we experience R-O-Y-G-B-I-V as the visual spectrum – red, orange, yellow, green, blue, indigo, violet. It was Isaac Newton who provided us with R-O-Y-G-B-I-V, named in an analogy to the musical scale, when he first recognized this understanding of the science of color in 1666. Using two prisms, Newton observed that white light was in actuality composed of all the colors of our known rainbow. 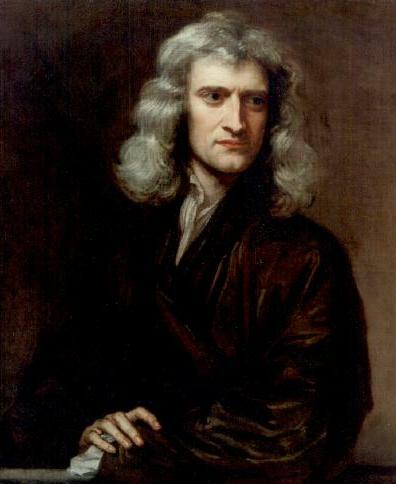 A portrait of Sir Isaac Newton painted by Godfrey Kneller. There is a massive amount of light that is emitted as wavelengths that we can never experience through sight. We buy sunglasses with lenses to protect our eyes from ultraviolet light, and wear sheets of metal to shield our bodies during x-rays – these are lights that emit as shorter wavelengths on the spectrum. 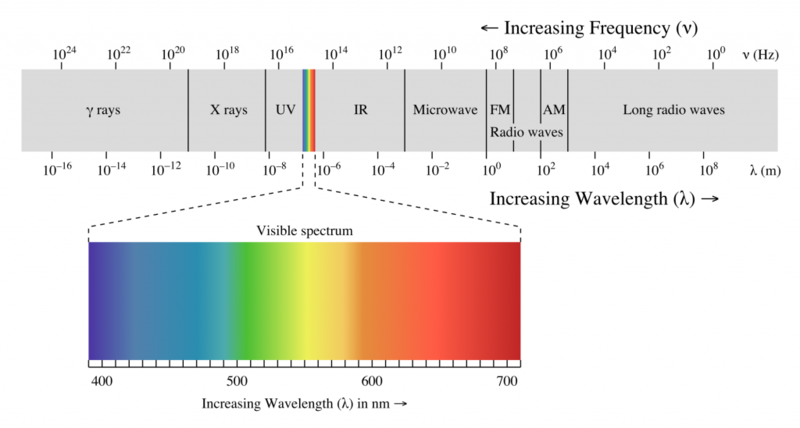 On the other end of the spectrum, we have microwaves and radio waves, forms of light emanating at a longer wavelength. Our eyes are not capable of seeing these wavelengths. The terms wavelength, frequency, and energy are simply alternate ways of defining and characterizing a light wave. Colors are revealed through the interaction of these light waves and the electrons present in the structure of the matter at hand. This matter serves to alter the composition of the light it transmits or reflects. 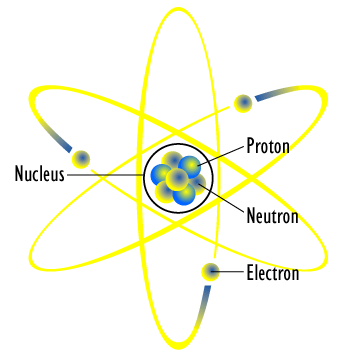 Diagram of an atom showing electrons in orbits around the nucleus. A lot of energy is required to move one electron from a closed shell to the next available position. This type of energy can usually only be supplied by ultraviolet radiation, or sometimes x-ray radiation. So what does this all mean for the color seen in sapphires? The chemical structure of the chromium ion showing the three unpaired electrons. Corundum mainly features the transition metal chromium. The chromium ion is quite unique in that is has three unpaired electrons. This means that there is low energy in the ground state with a wide variety of excited states that the electrons could move into. Combining this feature with the intricate crystal matrix structure makes it possible for an incredible range of colors to be expressed in sapphires as electrons have multiple opportunities to jump into and out of excited states, releasing energy along the way in the form of photons that we see as color. So how does this relate to sapphires whose color may fade and be restored? 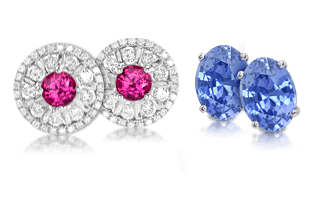 Since all color is the perception of light waves as they are transmitted or reflected through matter, changing the light wavelengths for these particular sapphires will cause a fluctuation in the vibrancy of color that the sapphire appears to have. A vivid yellow sapphire and diamond ring with excellent saturation. This feature, along with the many other unique features of sapphires, has created a special presence of sapphires in medicinal, spiritual, and religious practices. We explore this world next in the Powerful History of Sapphires.